Very knowledgeable and adaptable to our group and tailor the tour to our interests. Igor was an excellent guide. He possessed a great amount of knowledge covering Dubrovnik and was very interesting. Some of our party of 6 had special physical needs and he tailored the tour according. I would not hesitate to recommend him for any of his tours. Excellent! Excellent way of explaining the history of the city using some images which complete the understanding of their background and where they are now. Superb guide if you go Dubrovnik. Igor is a very knowledgable, personable & engaging tour guide. He provided everything we were looking for in our tour of old town Dubrovnik. Igor is very knowledgeable and personable. His tour was excellent! Igor provided a good overview of Dubrovnik in the time we had there. He made sure we saw all the vistas to appreciate our visit. He's young and entrepreneurial so it was interesting to hear his insights. My husband, 25 year old son & I had a fantastic day in Dubrovnik Croatia which was perfectly planned by our tour guide, Igor B. We toured Mount Srd, Cavtat (a coastal town) & the Old City including GOT highlights. Igor was flexible, kind & charming. His English was perfect only exceeded by his historical knowledge & love of his country. The England family highly recommends Igor B.! Wow! Our favorite stop on our cruise. This place is fabulous and so is Igor. Very well prepared and knowledgable. Igor did a great job listening to four woman's interested a needs. Don't look any further....he is that good! Fantastic tour from a local. He was on time, curtious and full of interesting info. Would book again. Igor was charming, well informed and clearly loved his home town and Croatia. His tour was really well organised and his knowledge on all aspects of GoT and live in Croatia, history etc was brilliant. We had a great time with Igor. Charming and interesting guy and we enjoyed his company immensely. Would recommend him for all age groups needing a guide in Dubrovnik. Igor was fantastic! It was great, of course, to see all of the beautiful Dubrovnik sites but the real highlight was Igor. We learned so much about the history of Croatia and Dubrovnik and he really made sure we saw the very best of the city. We highly recommend Igor! Igor provided a wonderful, detailed tour of Dubrovnik. His knowledge of the history and the culture that he shared about the city helped us to understand a place that we knew very little about. He always tried to make walking as comfortable as possible as we are probably older than most of his clients. I would like to have prepaid the tickets for the cable car. I think it would have expedited that part of the tour and we would not have had to stand in line in the heat. Igor was great ( which was challenging in 90 degree heat). He was able to combine some game of thrones anecdotes as we had a few fans in our group, with the history of Dubrovnik for first time visitors. He gave us some good suggestions on what we should do with the rest of the time we were spending in the city and made sure we saw the highlights in the time frame we requested. Excellent guide; very accommodating; English was great! Igor kept a travel-weary family of 5 engaged for a full 2 hours with the history of the country and city ... that's a triumph! We loved how he related to all our personal interests in his story telling of the city. OUr tour of the old town and city walls with Igor was one of the highlights of our two week trip in Europe. He engaged our teenage children, including highlights of the Game of Thrones locations we came across. Igor is a Dubrovnik native who is very proud of his city and country. That comes across in his tours. I would recommend Igor to anyone wanting an insightful tour of Dubrovnik. We had a wonderful time with Igor as he really bought to life the Game of Thrones while showing us the sites where many scenes were filmed. He had fantastic screen shots of all of the scenes so we could see in detail how Dubrovnik was such an important film site for the show . He was very knowledgeable, entertaining and was flexible with the length of the tour as we were on a time constraint . Wonderful tour !! Great tour by Igor! Very knowledgable and informative. Igor was excellent! He was very knowledgeable and we enjoyed his tour very much. He recommended a wonderful restaurant for lunch in the old city of Dubrovnik. Fantastic Guide! Very outgoing and knows his stuff! Loved sharing travel experiences with him! Our friends did the ship excursion with a large group and were jealous of our private group of 4. He was also very accommodating when we thought more of our group wanted to join us but they regretted not doing so. Highly Recommend! Igor provided us with a very informative and enjoyable tour of Dubrovnik ! Igor was a knowledgeable and friendly tour guide. He combined both history with Game of Thrones knowledge while walking throughout the city. You won't go wrong by hiring him. You'll have fun as you walk through the streets of Dubrovnik. Enjoy! Really good tour of the basic sites in Dubrovnik followed by a trip in a cable car. War museum was quite harrowing given how recent it was. Our guide Igor gave us plenty of information and the tour was at a perfect pace. Igor was great!! Very informative and knowledgeable about Dubrovnik and other parts of Croatia. He was engaging and very friendly. He was well prepared for the tour. His English was very good. I would highly recommend Igor to anyone visiting Dubrovnik. 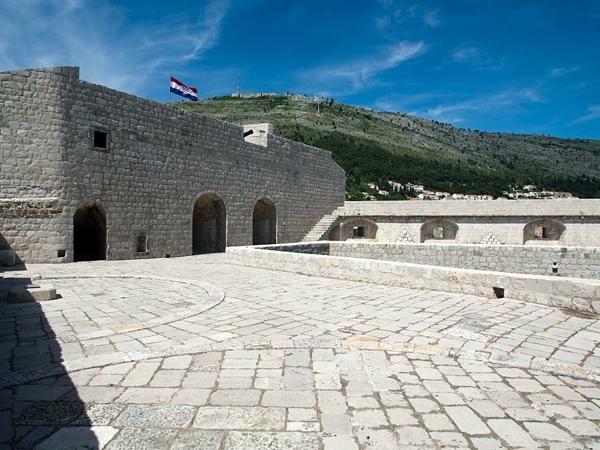 Great overview of Croatian history as well as a thorough Game of Thrones tour. Igor was fantastic. We would highly recommend him to others. Igor was an excellent guide and organised the tour leisurely but giving us all the information we needed.His character was excellent,telling us all we needed to know.We enjoyed our time with him & would definitely recommend both the tour & guide. Igor provided a fantastic tour for us. He took us to non-touristy areas at our request. He provided unique photographic locations for us, also at our request. He has terrific local knowledge of the area and speaks excellent English. We had a great day with him. Another friendly and informative guide. Igor clearly has a great love of Dubrovnik and was able to convey his comprehensive knowledge about the amazing history of the city. Well worth doing this tour. Igor was so knowledgeable and provided a tour filled with information and stories. We saw so much on the tour and he was always open to our wants. Very professional and a wonderful way to see and enjoy all that Dubrovnik had to offer. It was clear that he loved his city and was able to show us why! Igor was a great guide and made my limited time in Dubrovnik much more productive than I could have managed. Was wonderful hearing all the in depth knowledge he had on Dubrovnik's recent and past history. Very much enjoyed my time and am so happy I decided to book a tour with him. Igor was terrific. He spoke English very fluently and he gave us a nice history of Croatia as well as a great tour of the old town with many facts and details. We really enjoyed his tour and would highly recommend him. Igor is a great guide. Friendly, concerned, hard working and very knowledgeable. He showed us around Dubrovnik and Cavtat and made sure we had a great day. He is highly recommended. We drove from Split for the day and Igor was very helpful with where to park etc Igor was very knowledgable and informative and showed us the best of Dubrovnik in the short time we had. View from the cable car is well worth the trip. What a beautiful city. We had a wonderful day with Igor. He was very knowledgeable and friendly. We walked the "wall", toured old town and took the cable car to the top of the mountain. We thank Igor for a great time and would highly recommend him to future travelers to Dubrovnik. Thanks to Igor we learned a lot about Dubrovnik's history while seeing the city. He gave us excellent dining tips as well as other attractions to take in while here. We definitely enjoyed our time and would highly recommend taking a tour with Igor. Igor met us promptly at our meeting point and after introducing herself, quickly asked what we wanted to get out of the tour! He did his best to answer all our questions and adjusted the pace of the tour to my husbands bad knee! Igor is extremely knowledgeable and thorough. We would recommend him! Igor structured the tour to fit our interests & pace not his. While he is clearly a Game of Thrones expert, his knowledge goes much further than the show and it's scene shot locations. He grew up in the city and knows the locations and places you can access that only that real life history can provide. He is knowledgeable of the people, government & economic system. He is passionate about the cities past and present. As a bonus he can tell you where to find the best ice cream the city has to offer! Igor was a great guide and we had a great time exploring Dubrovnik, Srdj and Cavtat. Being a local he had great knowledge about the city and conducted the tour as per our preference and convenience. He made us feel very comfortable and even gave us tips of things to do and see in the city and around Croatia in general. We would highly recommend booking a tour with Igor during your visit to Dubrovnik. Thank you Igor. My wife and I took the "Best of Dubrovnik" with Igor last week. We only had a limited time in Dubrovnik so we thoroughly appreciated how Igor customized the tour for us. It was fantastic combination of a walking tour and tour by car. He also recommended that we have dinner in Cavtat which was 25 min from the old town and handled making reservations for us in a fantastic resto by the boardwalk. Including dinner in Cavtat completed our Dubrovnik experience. Igor was an excellent tour guide for Dubrovnik and the vicinity. He explained to us the history and showed us the beautiful sights. He made sure to always find us shade during the extreme heat. He then drove us an amazing lookout point as well as a quaint waterfront town nearby. We very highly recommend Igor and will definitely work with him again when we're in Dubrovnik! Our group of 7 was really happy with Igor's tour of Dubrovnik with us. He was very professional and very knowledgeable about the topic. When I requested the tour he provided exactly what we asked for. Igor was great,he accomodated our change in schedule,he not only provided an informative Old City tour,but also detailed the background of the Serbo/Croatian conflict. Igor suggested a restaurant near Ston as well as a great winery on the peninsula. Highly recommend using him. Igor was the best! So knowledge and flexible. He worked with two families for a private tour and engaged the kids and for the adults made the visit to Croatia exciting and fun. Although only there for a few hours. He was able to give us the best tour of the day. Even found a beautiful beach for the kids to cool off in. We are now want to come back and spend more time in Dubrovnik! If visiting for anytime in Dubrovnik. Igor's tour is a must!! Igor took full account of physical limitations within our group in leading our tour of Dubrovnik. He gave an excellent introduction to the city, inspiring us to return the following day for indoor visits and to walk the city walls. He could not have been more helpful in ensuring that our hard-of-hearing member was able to lip-read and understand him. Great pace of tour, very knowledgeable and good English. Would highly recommend him to anyone. Igor was an excellent guide. He was knowledgeable in the history of Croatia and in Old Town facts. We thoroughly enjoyed our tour. He was as accommodating to all of our interests. I would highly recommend Igor as a tour guide. Very informative and Igor was very willing to tailor our tour especially for us. Thank you, Igor!! Thoroughly enjoyed our time with Igor. He was informative, engaging and extremely knowledgeable. He did a great job intergrating historical information with information about GOT. Igor was very knowledgeable about Dubrovnik's history, especially the history of the Republic. Also, he was a very enjoyable person. Igor was an absolutely fantastic guide! He met us as agreed near the cruise ship and made every minute of our short land excursion count. He met all of our expectations and combined a great tour for the Game of Thrones fans in our party while providing an outstanding tour for those of us who had no clue about the show but were very interested in the history and absolutely sights of this great town and area. Very important for us, he made sure we made it back to the ship on time. FANTASTIC TOUR! Igor is a wonderful guide -- informative, responsive to questions, a sense of humor. Being a true local he has great insight into Dubrovnik, Croatia and its people and culture. Highly recommend him! Igor was fantastic...friendly, knowledgeable and a wry sense of humor. Well worth it! Igor provided us with an excellent, informative, personally tailored tour that exactly met our needs. He understood what we were looking for perfectly and gave us a mix of local knowledge, Dubrovnik and Croatian history from the 11th century through to the present day and also provided some Game of Thrones location insights as we had requested. I would highly recommend booking Igor for your private your in Dubrovnik as you would get so much more out of it than an impersonal, large group tour. Igor was outstanding! His knowledge of the city and supporting pictures of The filming of the Game of Thrones made the experience Unbelievable! Would highly recommend Igor to anyone! My friends and I had a wonderful private guided tour of Dubrovnik yesterday by your guide Igor. He was very knowledgeable about the history of the City and offered a personal perspective. He even booked our restaurant for the evening for us and confirmed this to us by email, above and beyond the call of duty! We would give him 5/5 rating and would not hesitate to recommend him. From start to finish, we had an excellent experience with Igor. Great communication before we arrived. He was even able to recommend and book a dinner reservation for us. The tour was so engaging -- lots of history, visits to Game of Thrones sites and natural beauty. And to top if off, Igor took excellent photos of us! Thank you for a wonderful day in Dubrovnik. Excellent tour of Dubrovnik. Igor gave us an insight into the city and chatted with us about a wide range of topics. It was great to be in a small group (we were a group of 4 friends), rather than part of a large tour group. Igor was flexible with the tour, which allowed us to continue the wall walk at the end by ourselves. Excellent English, highly recommended. Igor is extremely knowledgeable and clearly loves his country and City. Highly recommended. Really enjoyed this Tour!...Igor was punctual, friendly, and very informative. He delivered his great knowledge of Dubrovnik/Croatia in a concise & interesting manner. We'd only arrived a few hours previously & Igor put us immediately at ease & really made us feel welcome. An excellent guide. Thank you Igor & best wishes! TOUR GUIDE RESPONSE: Dear Mr. Moore, Thanks for your kind words. I am happy to hear that you have enjoyed my tour. It was a pleasure to meet you and guide you around my hometown. I would be happy to see you again in Dubrovnik and wish you all the best. One of the Best tours we have ever taken. Igor was fantastic he had great knowledge about Game of Thrones and even more knowledge about Croatia and Dubrovnik which was a major plus. We highly recommend and tour with Igor you will leave with a great deal of knowledge. We loved Dubrovnik and Igor is a major reason why. Thank you. Igor was the perfect guide for us. With the local knowledge of history, town points of interest, and game of throne's trivia ... if was time and money well spent. He is a great combination of professionalism and personality that made the time enjoyable but passed too quickly. Wish I had more time in Dubrovnik to spend with him. Don't miss the chance to seeing Dubrovnik through his eyes. TOUR GUIDE RESPONSE: Dear Mrs. Dailey, Thanks a lot for your review and your kind words. I have enjoyed meeting you and our tour and am delighted to hear that you have enjoyed it. I am always happy to meet GOT fans interested in cultural heritage of Dubrovnik as well. I hope that you are having a great trip along the other parts of Croatia and to see you again in my beautiful city. Igor our guide was excellent. The tour gave us a wonderful sight into the history of the city and was supported with photographs. Igor was able to give us recommendations for places to eat and drink and advise us as to the ferry crossings to see the islands. Would highly recommend. Igor did a great job , many of the people in his group had a hard time walking and he adjusted the tour to fit their needs ! Thanks for a job well done ! Igor was amazing! He took us up on the wall, on the cable car and all around the beautiful walled city of Dubrovnik. He provided us with stories and the history of this amazing city. And if you're a Game of Thrones fan he'll even point out different filming locations! Wonderful tour! Igor gave a wonderful tour of old town Dubrovnik under torrential rain. His knowledge of the history of the area was deep and he is quite charming. I would not hesitate to recommend his services to others traveling to Dubrovnik. Igor was very personable & informative. We were anxious to visit all the important sites & learn about the history of Dubrovnik & Croatia & we were not disappointed! He readily answered all of our questions and as a bonus gave us some restaurant recommendations. We would definitely recommend him as a guide to anyone visiting Dubrovnik! 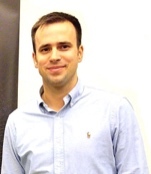 Igor was pleasant, knowledgeable about many things, very professional and did an excellent job. He is proud of his city and his country. I would recommend him and would use him as a guide for other tours if we return to Dubrovnik.